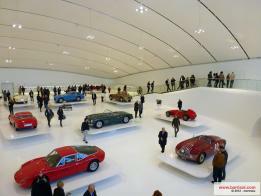 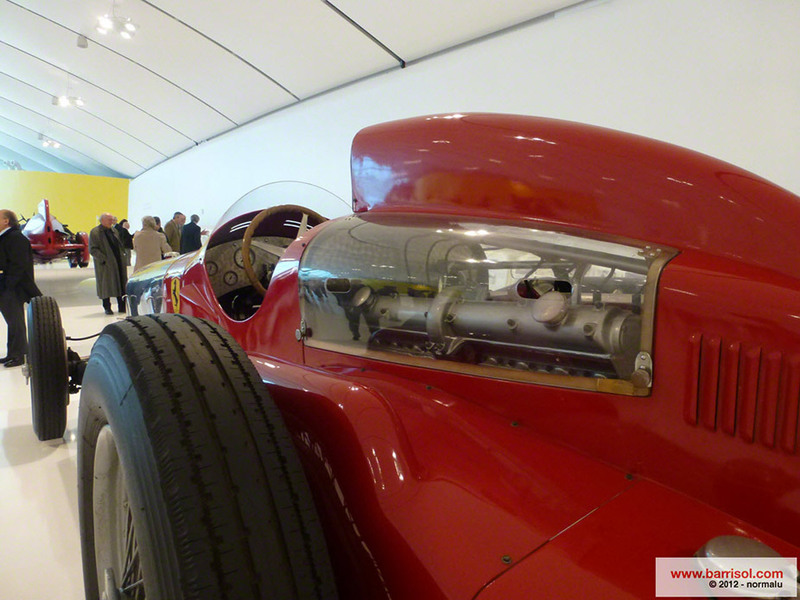 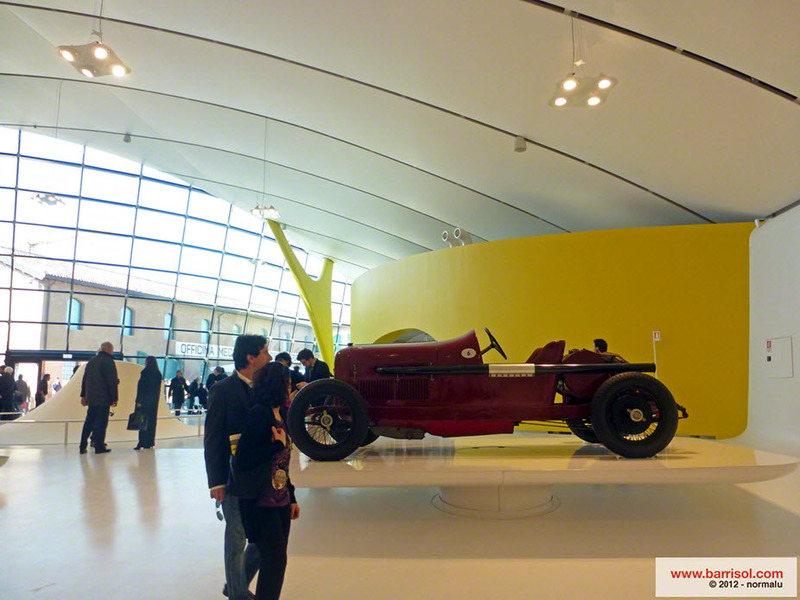 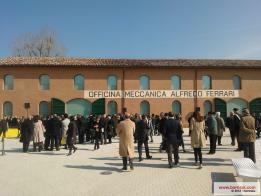 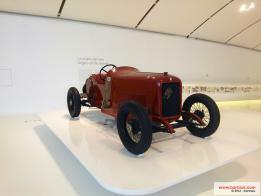 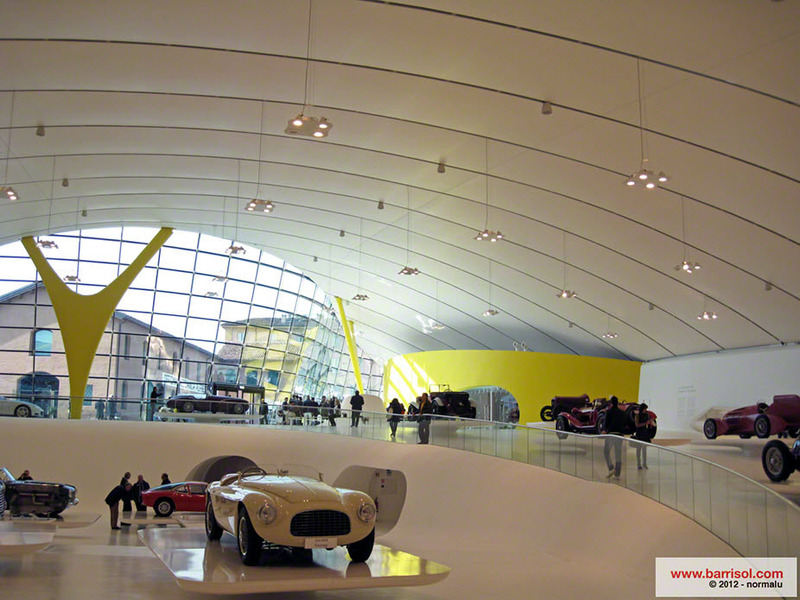 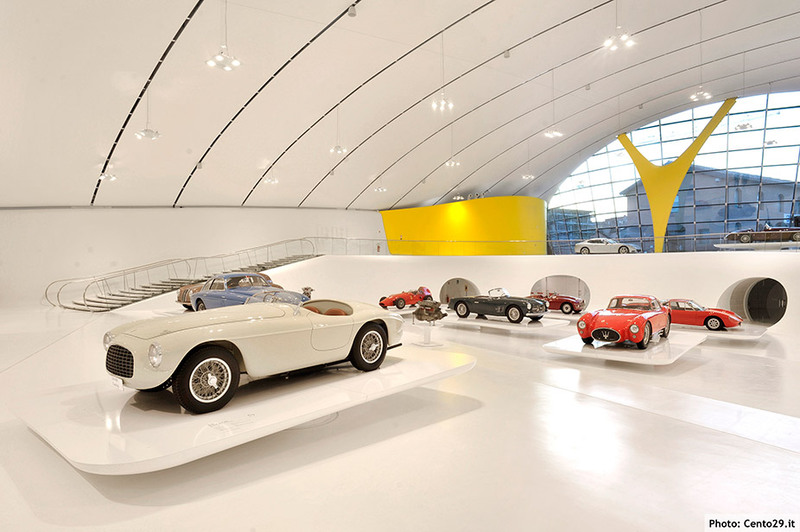 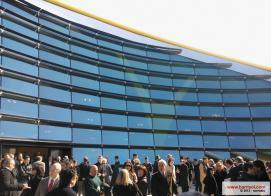 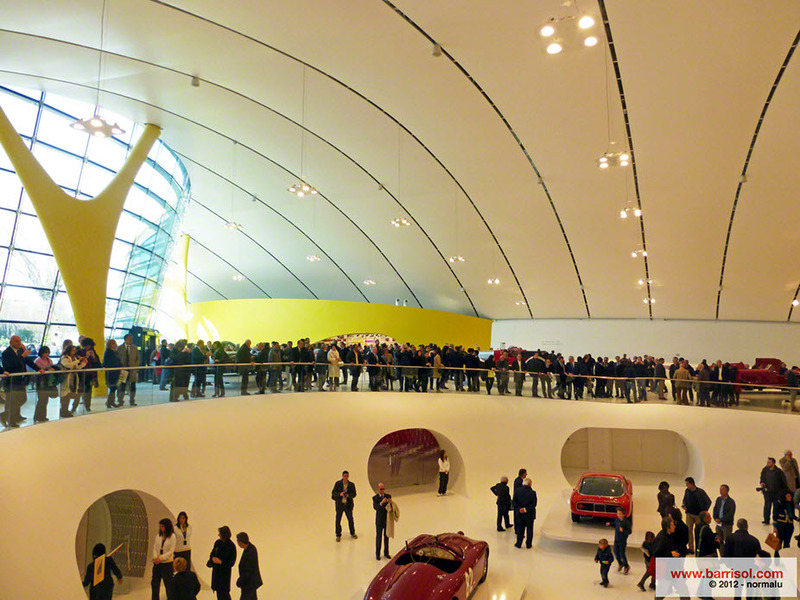 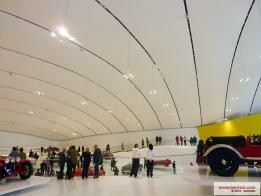 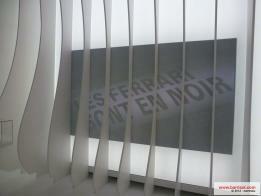 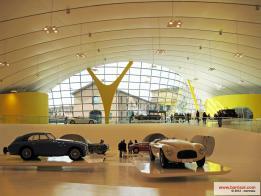 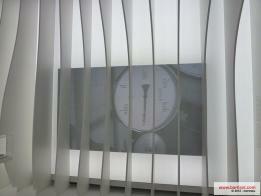 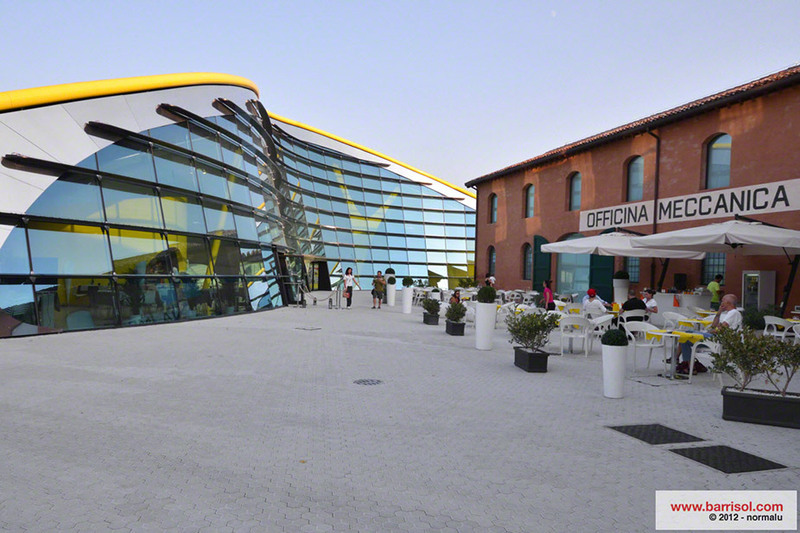 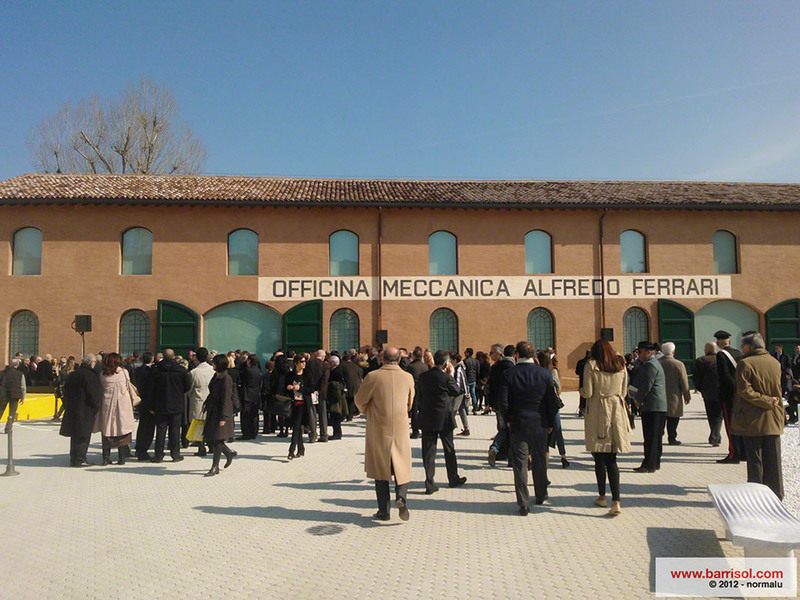 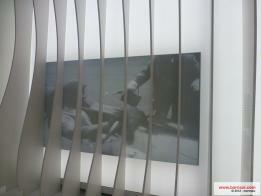 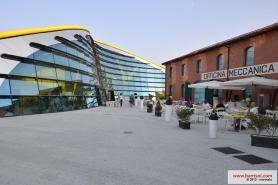 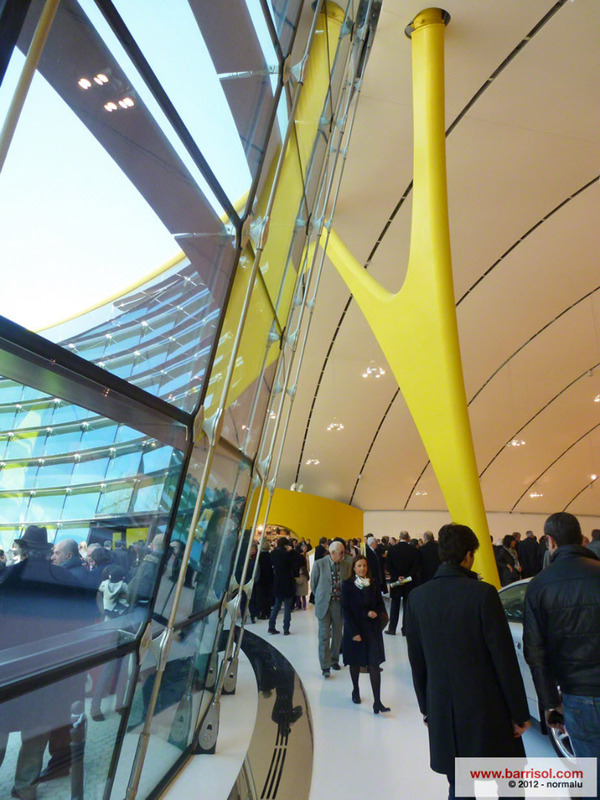 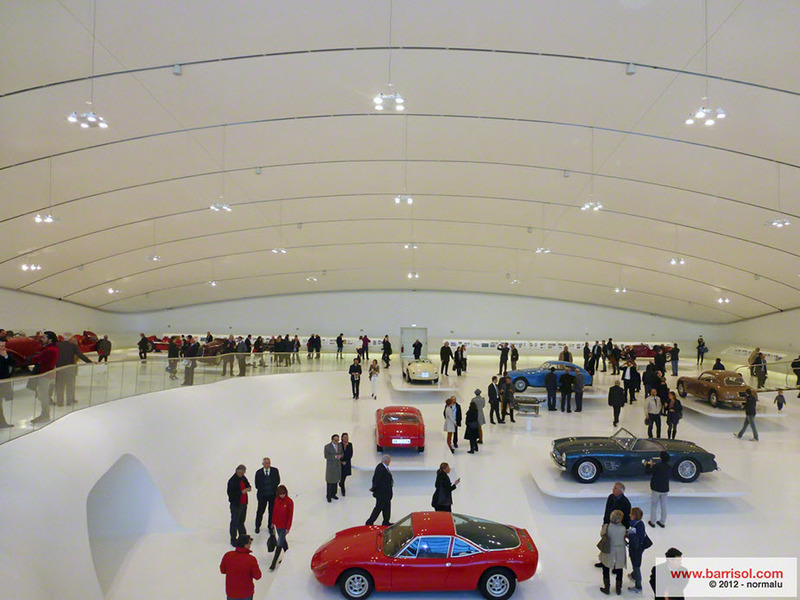 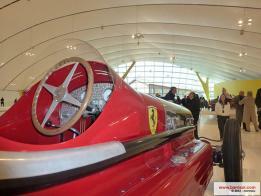 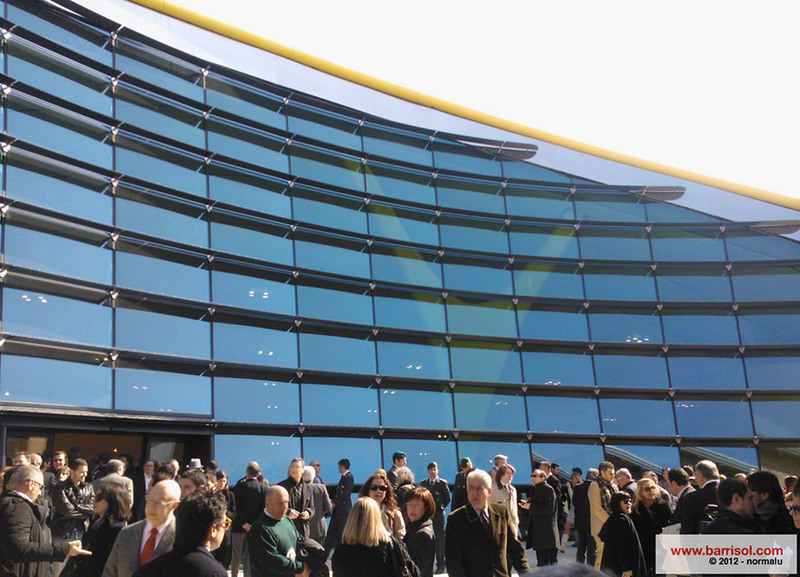 The museum of Enzo Ferrari in Modena was opened the 10th March 2012. 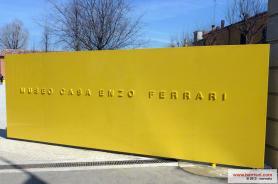 This 6000 m² museum is the native home of Enzo Ferrari, this is the house where he first opened his work shop. 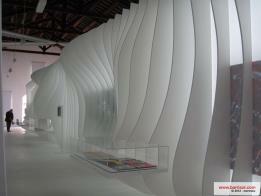 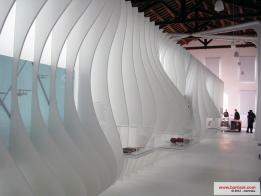 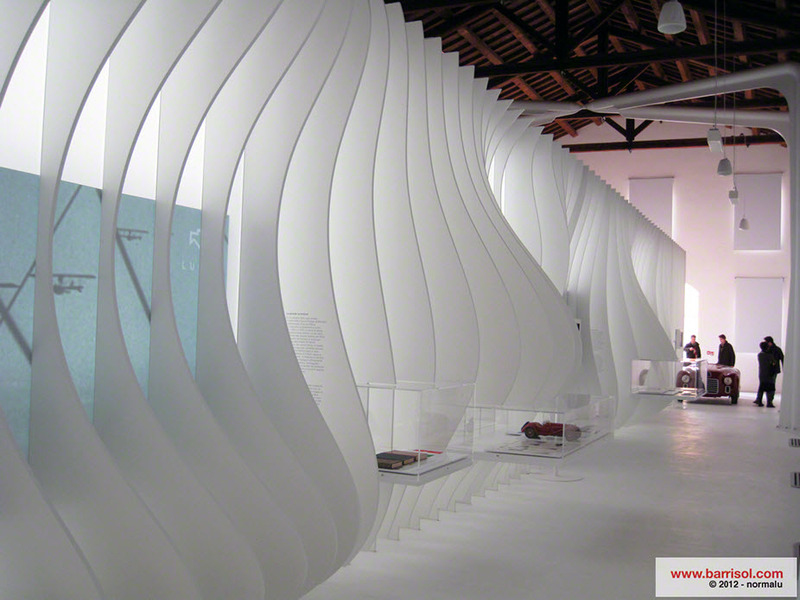 London architectural studio “Surface Design” were responsible for the creation of this futuristic exhibition gallery. 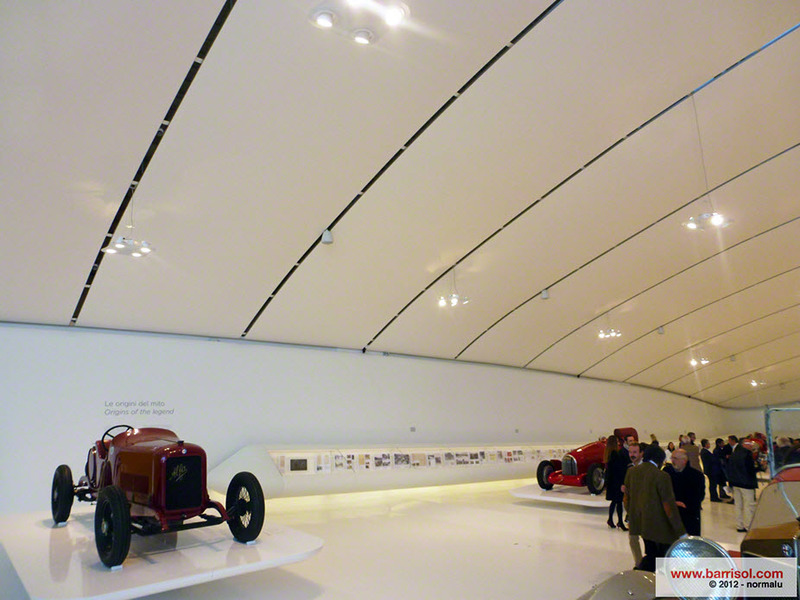 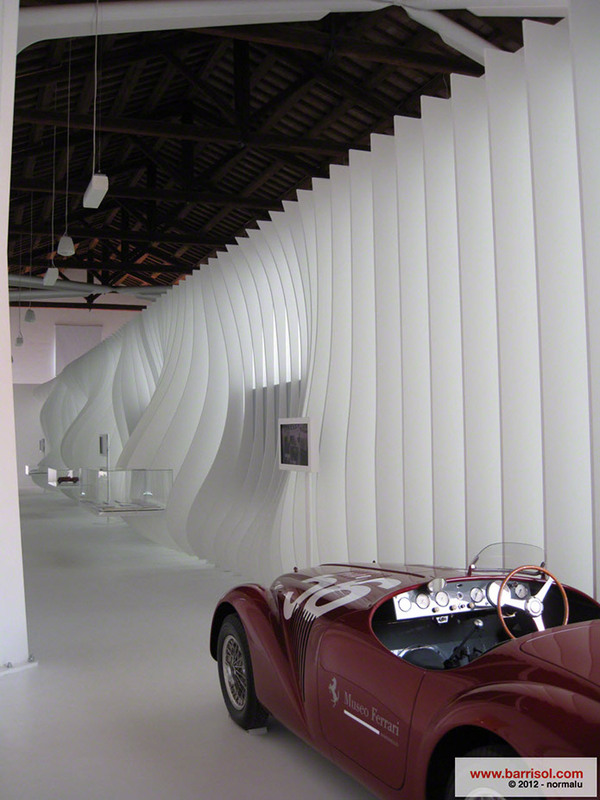 The ceiling gallery comprises of 2700 m² of Barrisol sheet Blanc mat. 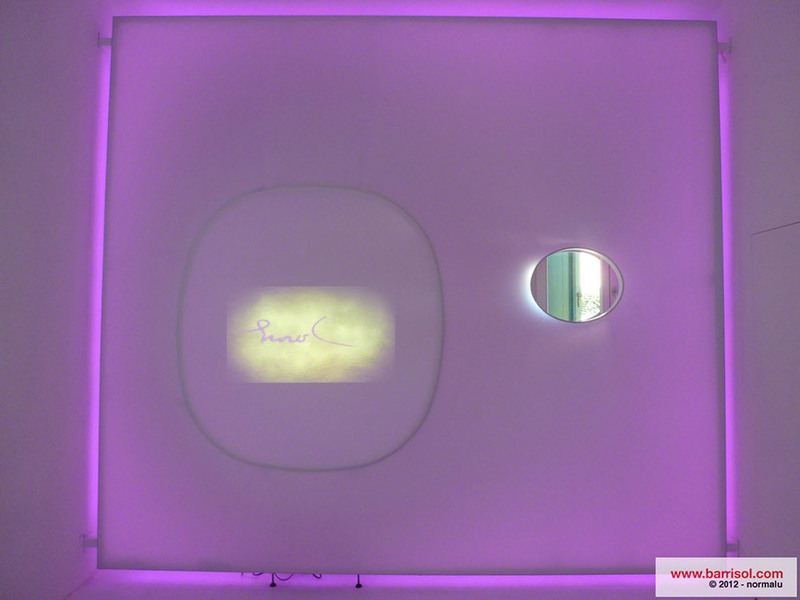 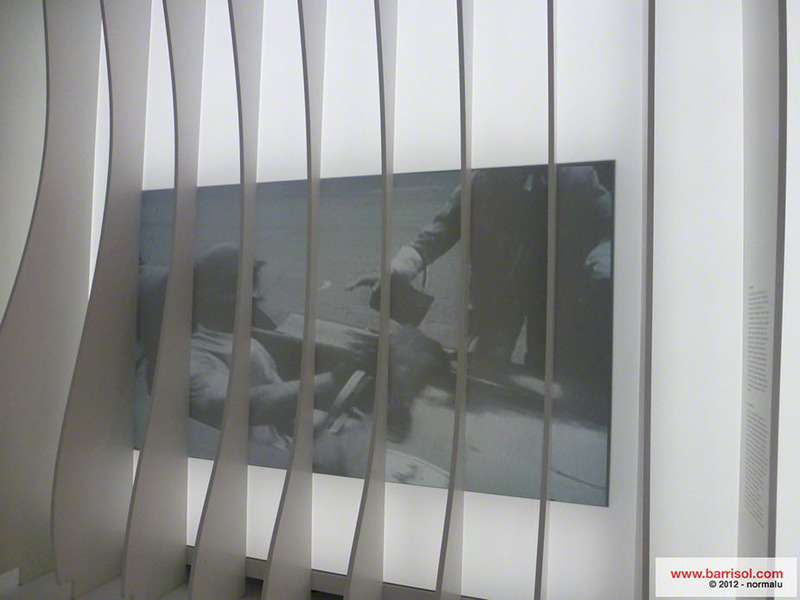 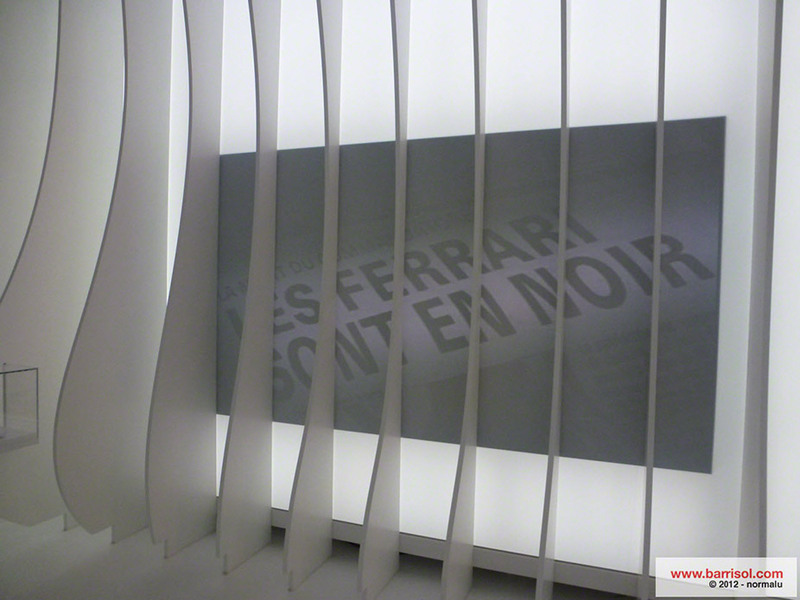 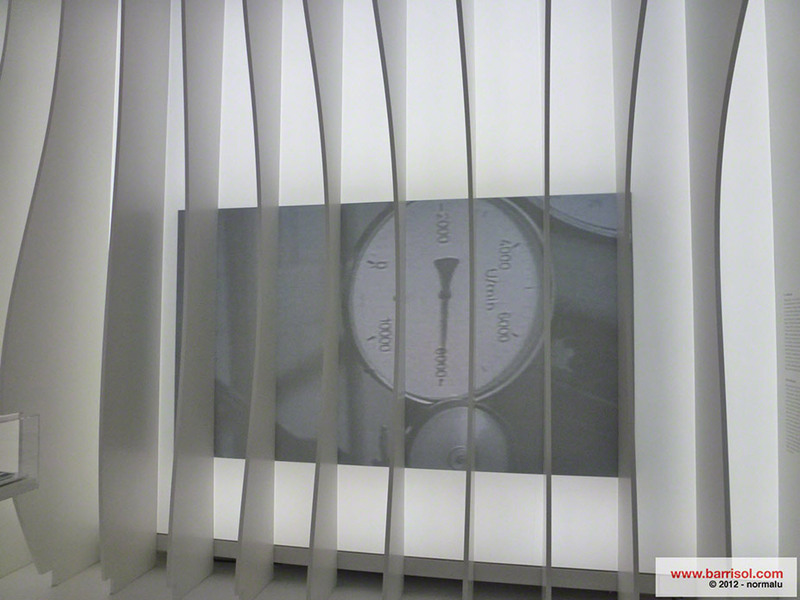 The walls of the studio are covered with 270 m² of Barrisol sheets Lumiere and Lumiere color and have images, movies and historical documents projected in a multimedia as a permanent part of the exhibition, representing the stepping stones of the life of the passionate creator Enzo Ferrari. The new building hosts many models of the renowned Italian cars from a vast international collection and displayed like pieces of art. 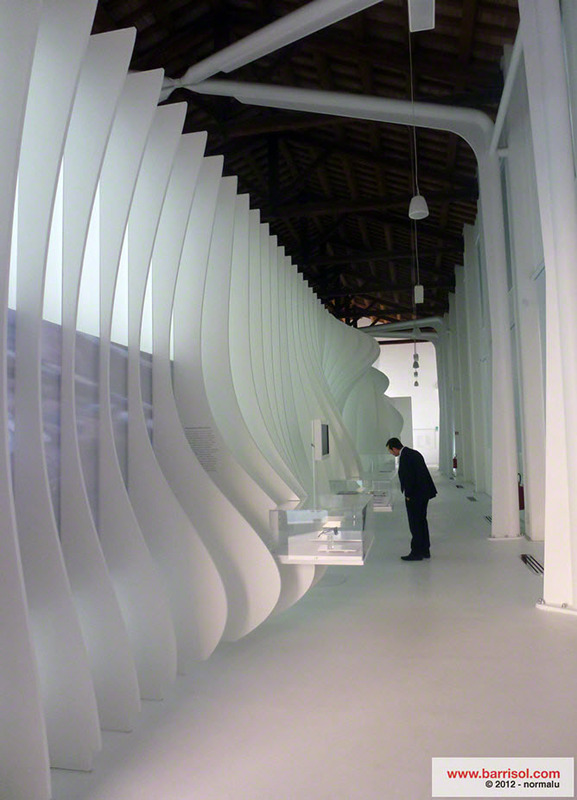 Architects: Jan Kaplicky (Future Systems) and Andrea Morgante (Shiro Studio).